Eng. Petar Atanasov was born in 1971 in Varna. Graduated in 2001 from Technical University, Varna, major Computer Engineering and Technology. Interested and involved in design and programming of multimedia and interactive software. 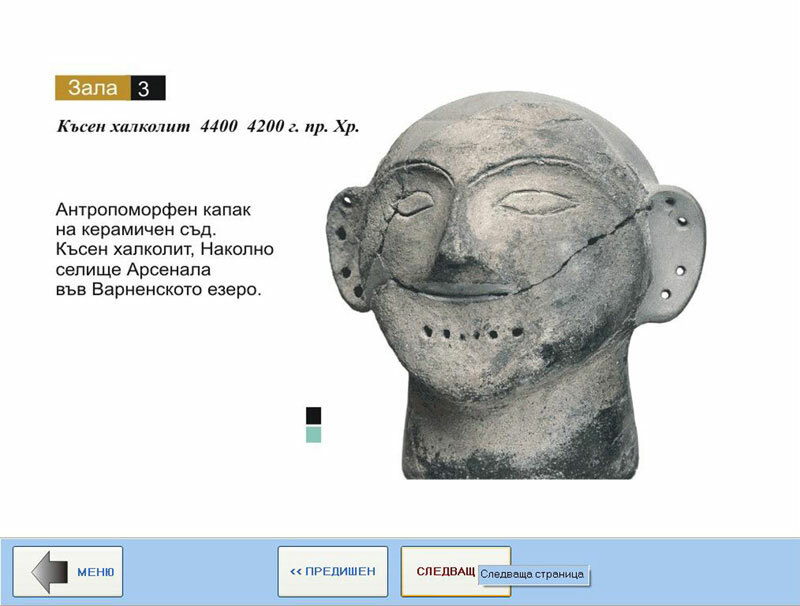 He has realized projects for touchscreen information kiosk - an interactive guide to the Varna Archaeological Museum and the National Archaeological Institute with Museum, BAS, Sofia. 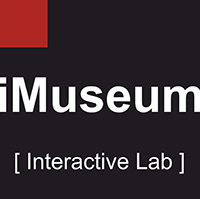 Works and writes primarily in graphical interfaces and implementation, development and use of modern information technology in museums and galleries. Author of "MUSEUM - NEW MEDIA AND INFORMATION TECHNOLOGY. 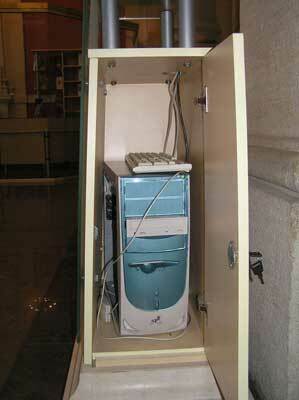 Computer systems administrator in the Regional Historical Museum, Varna. The importance of the traditional purpose of a museum – to collect, store, restore, study and present the cultural artifacts is changing. At the time being museums are more focused on exhibiting activities. Since museums own a big exhibition area and a large number of artifacts in their permanent exhibitions, as well as in their funds, and have a very busy exhibition programme (The Archaeological Museum in Varna is a typical example), they face the problem of informing the visitors (traditionally at a very low level in the Bulgarian museums). The brochures, the catalogues and the guides with plans of the halls and information about the major artifacts partly solve this problem, but they cannot provide the complete volume of the needed information. Therefore in many museums it is urgent to establish the use of modern means of informing the visitors. The most promising and convenient ones are the systems on the basis of sensor displays (kiosks). 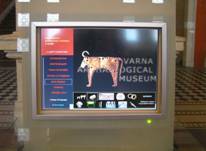 Currently sensor information kiosks are available in only one of the museums in Varna (supposedly the only one in the country) – the Varna Archaeological Museum. New ways of employment, professional training and continuous education. Major goals of the project. Provision of general information about the exposition, the location of the major and most interesting exhibits, a scheme of the location of the halls in the museum. 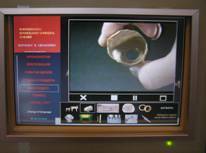 The design, the shape and the size of the cabinet of the sensor information kiosk are after the idea of the Director of the Varna Archaeological Museum Dr. Valeri Yotov.The choice of devices and equipment and their mounting in the cabinet was performed by En. Peter Atanasov. The draft project, the graphic design, the development of the software and the processing of the images and video materials were performed by En. Peter Atanasov. The project was realized for two years and has undergone many changes, improvements and renewals of the information. The latest version is from February 2009. Additionally in the kiosk there can be mounted an audio system; a multimedia projector can be connected as well as other various equipment. 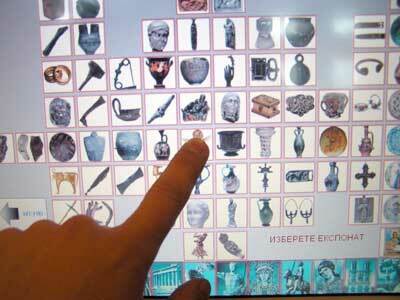 The software of the kiosk depends on the profile (the topic) of the museum or the exposition. This can be a guide to all museum halls and expositions (it is very suitable as a kiosk situated in the hall of the museum) or an electronic catalogue with photos and images and detailed information about a specific collection/ hall in the museum (concerning a kiosk near the exhibition hall or inside it). As a rule, the information in the kiosk should be well structured, the visitor should not be immersed from the very beginning in facts, so that he or she should be able to find the exhibition that most interests him/ her, the hall, where it is exhibited, and the visitor should (and must) be attracted to other information accessible through the system. In order to be effective and attractive to the desired extent, such a system should contain a big amount of graphic, photo and audio visual information. Having in mind that the audience is presumably international, the texts should be presented in several languages. An easily perceivable principle is used in the sensor kiosks. You simply touch the screen where you are interested and you instantaneously receive an answer from the system. Even people, who are unfamiliar with computer technologies and feel uncomfortable when they have to use input devices such as keyboard or mouse, do not hesitate when they simply have to touch the screen. The software has to be developed having in mind the factor that the interaction with the user of the system takes place by means of a sensor interface. The interface should be simple and clear and should be developed from left to right and from top to bottom; the options should not be too many, so that the user does not feel perplexed. A menu with hierarchical menus is preferable (a main menu which branches into submenus) and the levels of the submenus should not be too many: 4-5 is the optimum maximum. Initially the system offers to you to choose one of the units, after that there appears a menu on the second level, after that on the third. In order not to get lost, there is always a “back” button which takes you one step back and a button for return to the main screen. The choice areas (the “buttons” where the user has to touch the screen in order to enter a unit, submenu or to check certain information), should be big enough and clearly designated, having in mind that the fingers are used. Apart from that they should inform the user by means of text or graphic logo, which is used for the action, which will be performed as a respond of the system to the finger touch on the screen on a chosen area. 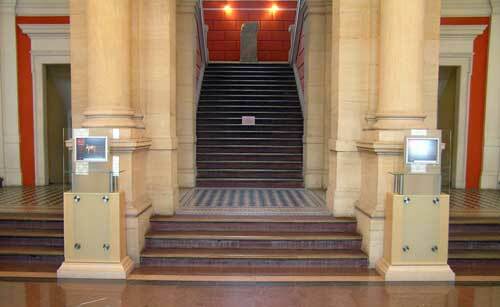 During the recent overall renovation of the museum entrance hall, two sensor information kiosks with design which matches the architectural style of the hall, were installed. In terms of construction they are pedestal like, the size is compact and they are located in a way that makes them visible upon entering the museum without being in the way of visitors who are heading to the exhibition halls. The visitor receives information about forthcoming and current exhibitions (kiosk at the cash point). The kiosk provides general information about the exposition, the location of the major artifacts, gives the scheme of the location of the museum exhibition halls. The kiosk gives topical information (images, photos, video information, etc.) about the exhibits in the museum as well as about artifacts which are not on exhibit but are related to the exposition. Dynamic and intuitive user interface. Constant help for the user for each move in the form of prompting messages. A panel with auxiliary information about the functions of the programme. The system supports two languages (Bulgarian and English) of the interface as well as of the text information. The choice of the language takes place when starting up the programme. Protection against unauthorized access – the application controls all functions of the operation system and it is always working in “always-on-top” mode. The exit takes place only after entering and confirmation of the password by means of the virtual keyboard (everything is done by touching the sensor display). When the password is correctly entered the computer turns off itself. Programme functions hidden from the user. · Protection of the contents – all high quality images and photos are inside an Image Container and are inaccessible by external programmes (they cannot be opened, observed or printed by other software, e. g. Photoshop: which is very important for the CD version). · Checking of the whole available software of the computer and its operating modes – this is done with the purpose of providing maximum use of the resources of the computer and best multimedia quality. The number and the kind of devices is checked (hard disks, CD-ROM, DVD-ROM, recording devices) so that it is known where the programme is started from. The graphic mode is also checked and if it is different from 1024 x 768 pixels and depth of the colour less than 16 bits, the user is offered to change them and this can be done by one click of the mouse. If this change is not made the programme refuses to work. Thus the right and perfect quality of the multimedia application is guaranteed (This concerns the CD version. The user who works at the kiosk in the museum does not need to bother with all this, because the software has adjusted everything in advance). An opportunity to use unlimited number of music files. An option for choosing and changing the music by the user. An option for turning on and off the music by the user. A video about Karel Shkorpil and the first archaeological excavations in Bulgaria, 12 min. Options for handling the video files: stop, pause, play. Increase of the video image to full screen or standard window. Hyper connections to the video materials – from the articles about the respective topic. A separate panel for choice and review of the video materials – direct video panel. Advertising window – if the system is not used for three minutes, an advertising window pops out, which informs the visitor about the new exhibitions and the halls where they are shown. The visitor is also made aware that what he/she sees in front of him/her is an information system and is invited to get information and to look around the museum in a virtual way. Operation system – 32 bit Windows; it is preferable to use Windows XP because of the alphablend function (transparency and semi-transparency). Size of the executable file after the compilation – 41 MB, which contains the commands and all images with high resolution. 2. Sensor display – 15” TFT LCD, CTX model PV500T with serial communication interface. The Varna Archaeological Museum has been undergoing a renovation since 2004. It started with the renewal of the entrance hall and there are plans of staged overall renovation and modernization of the exhibition halls, the service premises and some new exposition decisions will be implemented. On 28 April 2006 the permanent exhibition of icons was opened. Part of the renewal and modernization programme includes a multimedia hall. The museum has already purchased projection devices (a multimedia projector and a screen with dimensions 240 x 240 cm). 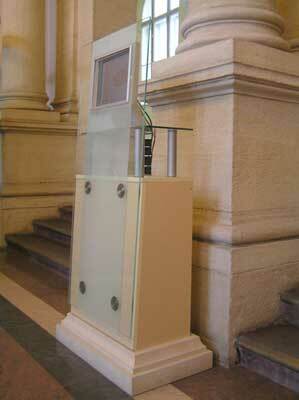 There are plans to use a sensor information kiosk with “lecturing desk” design. All the necessary films will be uploaded on the hard disk. The kiosk will be connected with the multimedia projector, which will make it possible for individual visitors to use it, as well as for lecturers in front of bigger audience, without making it necessary the lecturer to have any special skills in dealing with computer technologies. 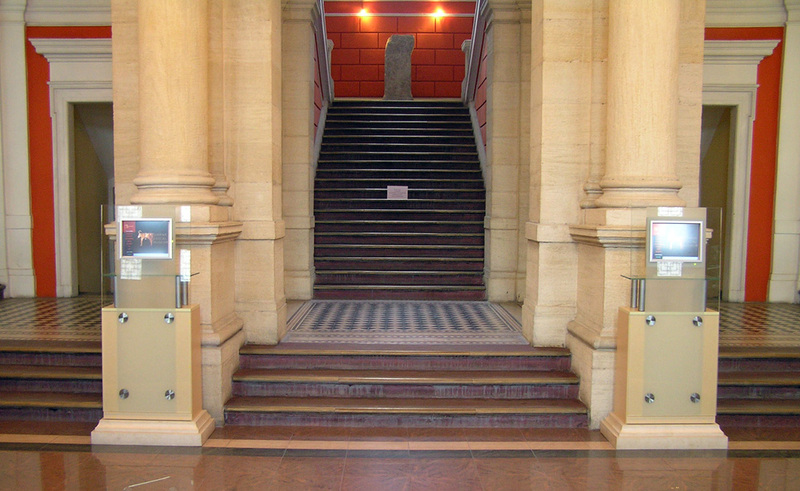 The design of the software will enable users (or any of the lecturers) to use it for giving talks (this presupposes the availability of ample picture and text materials), as well as for playing and use of the films installed on the hard disk (similar to the way all this is realized with the kiosks in the entrance hall). The only thing that the user will have to do, when necessary, will be to turn on and off the projector. There are plans, in the nearest future, to install in the exhibition building of Aladzha Monastery ( a rock monastery dating back to XIVth century, which is part of the network of the Regional Museum of History – Varna) a system which is identical to the one which is planned to be installed in the icon exposition in the Varna Archaeological Museum. The topic of the software application is “Christianity and Monasteries in North-East Bulgaria”. The extensive development and the modernization of the Varna Archaeological Museum during the recent years have stimulated the greater number of visits which is the primary goal of the museum’s management and staff. This process includes development and implementation of promotional initiatives of different kind and size. 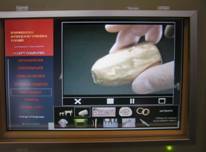 The sensor information kiosk is one of the innovation steps – part of the museum’s PR in Varna. The provision of multimedia information about the exposition, the current exhibitions, the archive documentation in the museum, etc. enhances the overall information servicing of the museum audience and for the time being this makes the Varna Archaeological Museum different from all the other museums in the country and makes it one of the leading European ones. TOPIC OF THE ISSUE”The Varna Regional Museum of History – the European breakthrough”. Materials from the project have been used in the article of “Computerworld” magazine – issue 17, 2006/ IT projects. 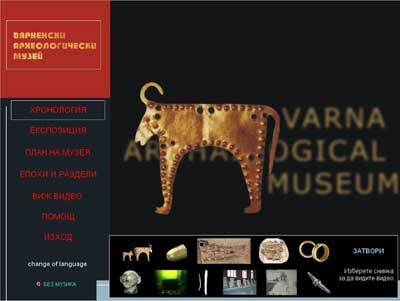 The Varna Archaeological Museum and the author of the project En. Peter Atanasov took part in the competition of the magazine for IT project of 2006.